A wedding ceremony is a wondrous celebration of life, and even though it happens once in a life time, anytime it is experienced, it is always an extra-ordinary occasion. But in Yoruba land where the culture of families meeting each other before the couples are contracted into the union is a standard, the event becomes merrier. There was more than enough to eat. 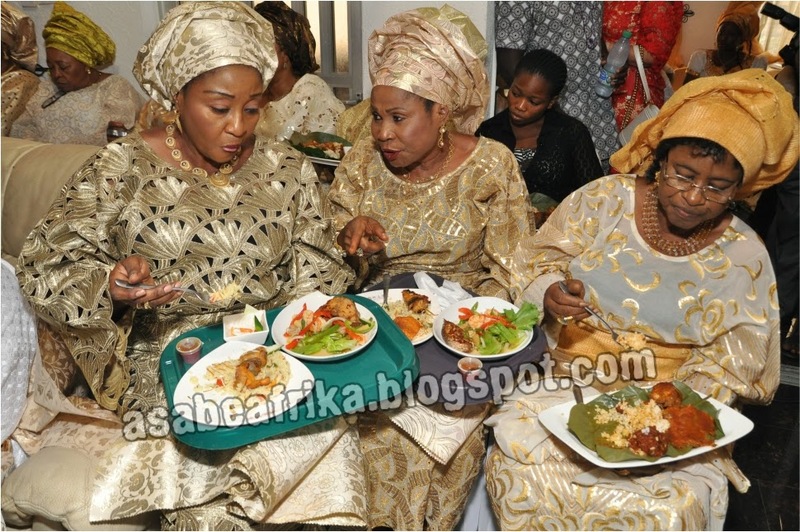 That was the real picture penultimate Saturday when the families of a Senator of the Federal Republic of Nigeria, Senator Simeon Ajibola came with their son, Architect Wale Ajibola for the hand of beautifully endowed Rosemary Oyenike, one of the daughters of Princess Rose Osipitan, MD/CEO of First Royal Oil Nigeria Ltd a leading oil marketing firm in Nigeria and a prominent member of the Independent Petroleum Marketers Association of Nigeria (IPMAN) in marriage. 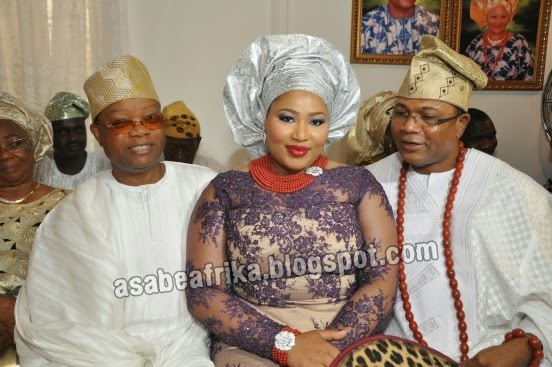 The event which was a marriage introduction ceremony attracted dignitaries from all walks of life who stormed Princess Rose Osipitan’s Ologun Agbaje street off Adeola Odeku, Victoria Island, Lagos home to usher the new couple into a marriage life with lots of fanfare and celebration. 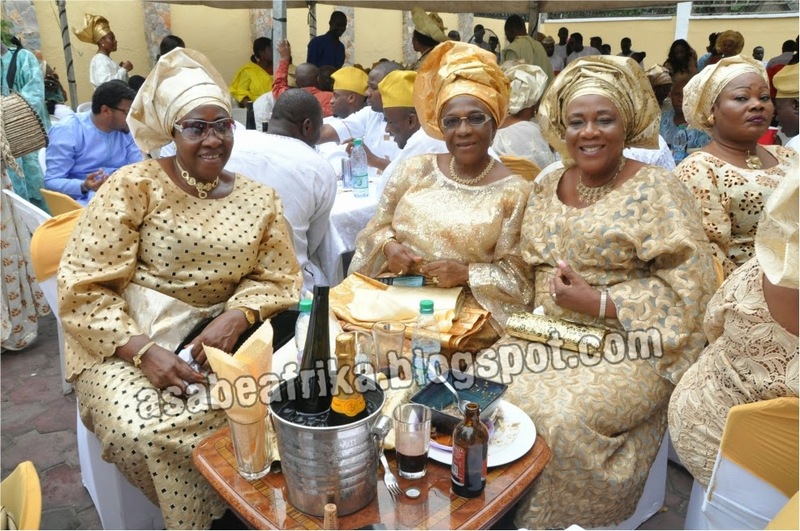 Leading the team of dignitaries that stormed the Saturday event were families of the groom which comprise father, Senator Simeon Ajibola (PDP) Kwara South who was in company of his wife and mother of the groom, Deaconess Victoria Oladunni Ajibola and his brother, Alhaji Akewusola Ajibola, friend, Alhaji Bola Sanusi and a retinue of family members from Ekiti Local Government Area of Kwara state who joined Wale to ask for Oyenike’s hand in marriage. Others who came with the three times Senator of the Federal Republic of Nigeria are PDP woman leader and member of the Board of Trustee, Chief (Mrs.) Aduke Maina with a cream of top party stalwarts who added color to the ceremony. The event which started 11 am in the morning suddenly amassed its own life and turned big with lots of traditional celebration, exotic drinks and assorted meals of various delicacies for the over one thousand guests that closed the date for Princess Osipitan. The Chairman of the occasion/Father of the day was former Minister of Health and founder of Juli Pharmaceuticals, Chief Julius Adeluyi Adelusi who sat all through the day and welcomed other important guests to the event. 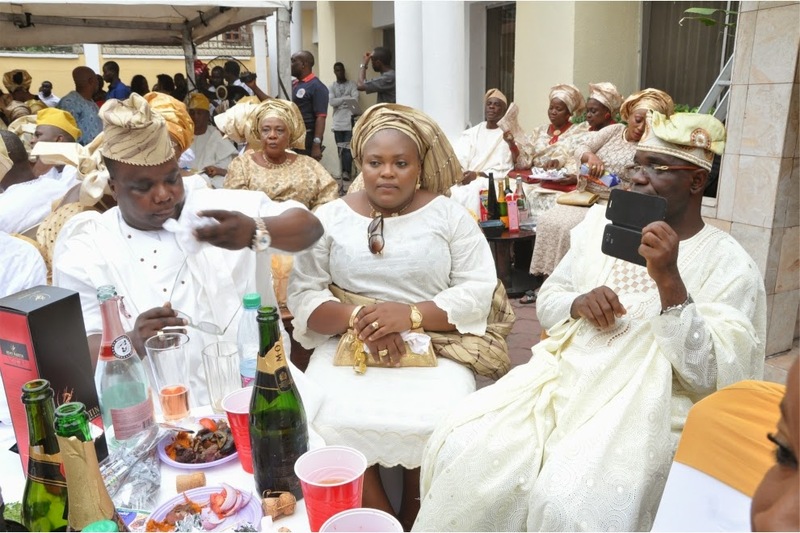 The Ewi of Ado Ekiti where Princess Rose Osipitan hails from, Oba Rufus Adejuyigbe also sent in his Royal staff of office and a retinue of elderly representatives from Ado Ekiti to celebrate with an illustrious daughter who was giving out one of her daughters in marriage. Another very important traditional ruler who graced the event with his presence was the Onitori of Itori kingdom, Abeokuta, Oba Fatai Akamo who graced the event with retinue of aides and his emblem of office; the mother of the bride Princess Rose Osipitan is one of his eminent chiefs: she is the Iya Oba of Itori land in Ogun state. Among the very important dignitaries who graced the event are Oil big boys and top Independent Petroleum marketers and members of Independent Petroleum Marketers Association of Nigeria (IPMAN) like Chief Akinfenwa of the Lagos Oil depot, Alhaji Dele Tajudeen, Chairman of Mosinmi Oil depot and the Chairman of Ibadan Depot also known as AK Petroleum Nigeria ltd and a host of many independent petroleum marketers who graced the occasion to celebrate with one of their own. 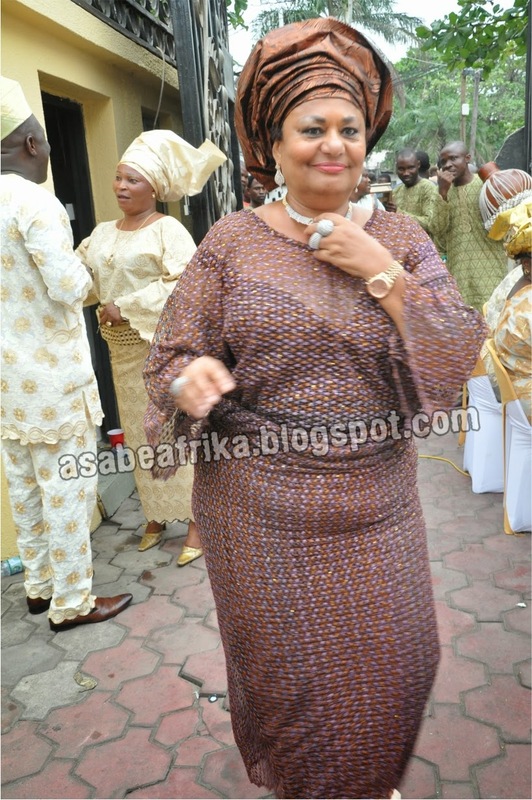 The Lagos Fabric sector did not lag behind as they came in droves and nearly competed with the IPMAN circle; leading the cream of the Lagos fabric sector was the Iyaloja of Gutter Market in Lagos and best friend of Princess Rose Osipitan, Chief (Mrs.) Amori Odumosu Founder/CEO of Ritz fashion International. political class to the event. 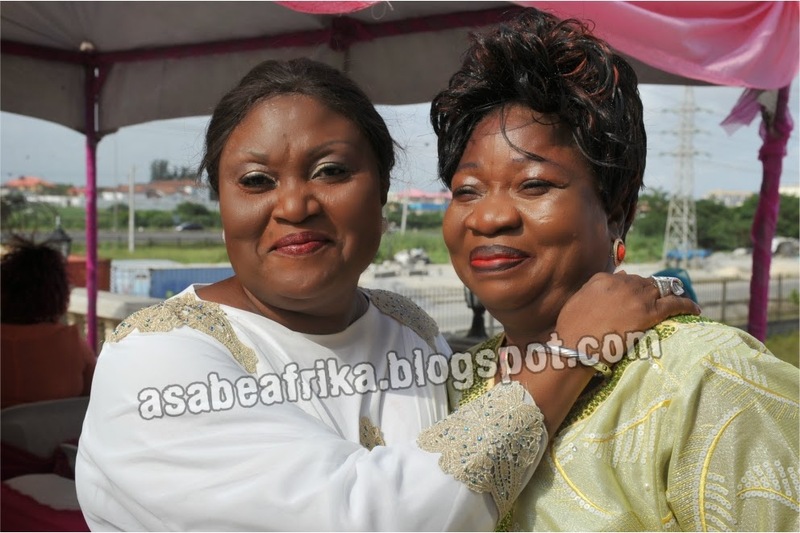 Another very prominent woman who supported her friend on that very auspicious occasion was APC Woman leader and Gbegba-Aje of Owode kingdom in Ogun state, Chief (Mrs.) Basirat Olayinka Ojugbele; the very powerful and influential APC woman leader in Ojokoro land, Lagos, drew her cream of friends to the event which include Chief (Mrs.) Mary Akiode, Alhaja Biodun Ninalowo, Chief (Mrs.) Iyabode Akerele, Alhaja Nurat Dauda and a host of other very important women in Lagos business and political circle. 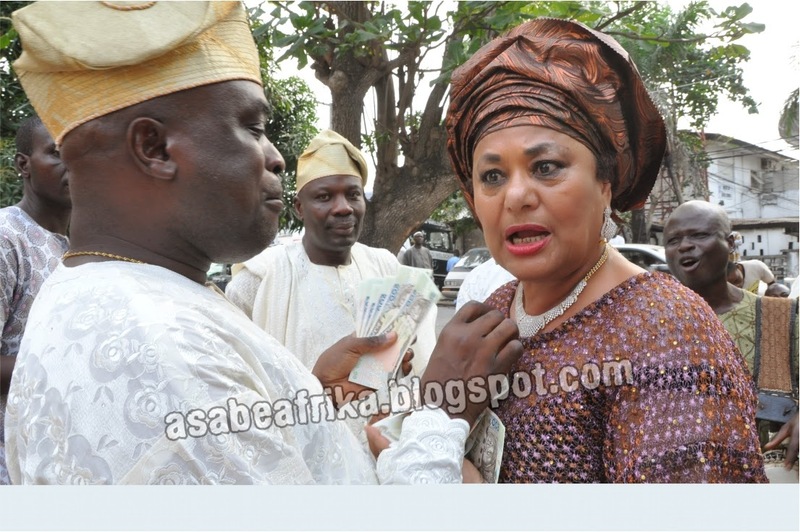 However one other woman that drew lots of attention with her appearance and clout was the Iyalode of Gbagura land and Yeye-Meso of Oke-Odan, Chief (Mrs.) Adunni Bankole who came with a retinue of aides and friends. 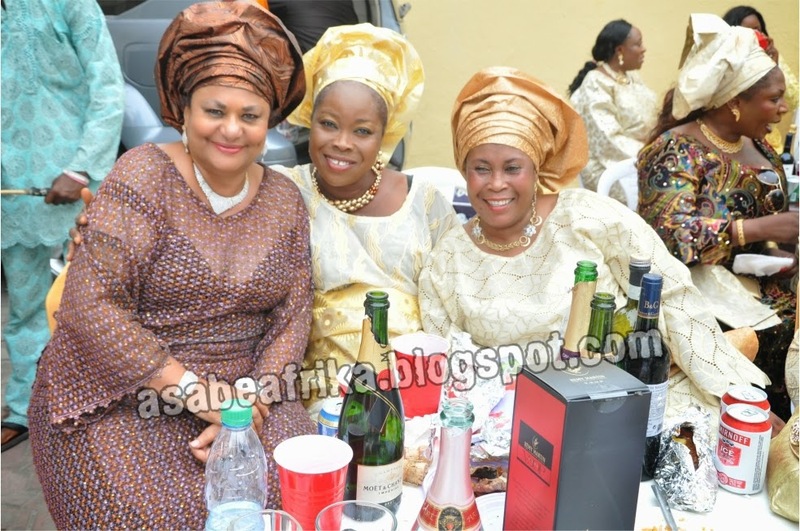 The party was never complete without the presence of Chief (Mrs.) Alake Osun, CEO, Justland Hotels Ltd, Lagos and Chief (Mrs.) Funmi Sodeke, CEO, Unique Jewelries Ltd and many other very important ladies who stormed the wedding introduction ceremony in their best mood and apparels. 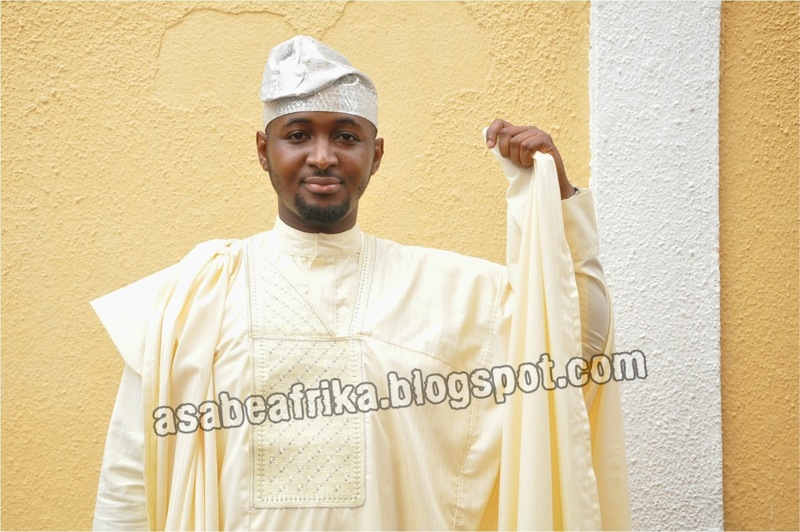 Lagos top property developer, Architect kayoed Idowu who is equally the first son of Chief (Mrs.) Basirat Olayinka Ojugbele and his wife, Alero of Hallero Couture Ltd also graced the one in town wedding introduction ceremony. Other children of the frontline oil entrepreneur, Princess Rose Osipitan were also in attendance with their young friends from all walks of life who came to pomp champagne and celebrate with the Osipitan family. They are Doyin Aladesanmi and Bunmi Omosehin; her third child Adebayo Osipitan who was in London at the time his sister was being given out in marriage sent in a blackberry message from his UK school. The white wedding which is to take place in a later date in the middle of the year promises to be a grand occasion as the new couple have the backing of their influential families to pull strings and make the event a successful one. 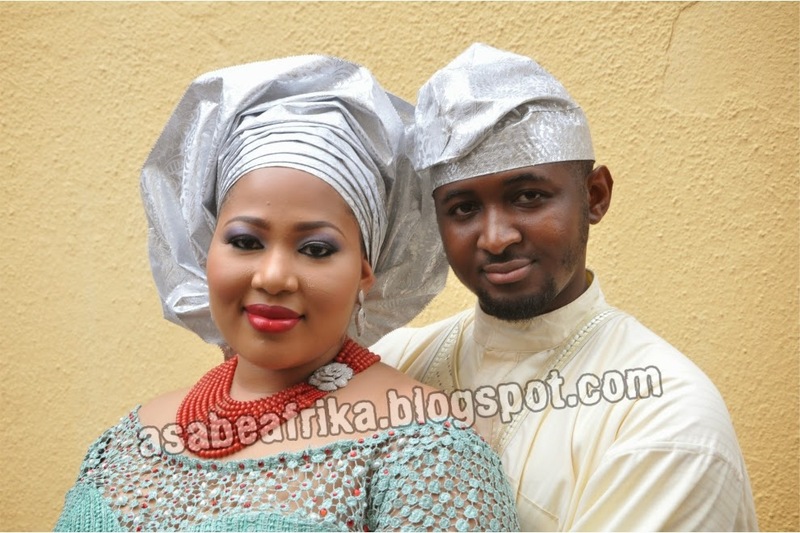 The couple later opened up to your Number 1 Celebrity Encounter blog asabeafrika in an exclusive interview after the introduction engagement ceremony at the bride’s Ologun Agbaje, off Adeola Odeku, Victoria Island, Lagos home. It was the groom, Architect Wale Ajibola who is one of the scions of the three times Senator Simeon Ajibola of Kwara South (PDP) who spoke to us first before his fiancée agreed spoke. The London trained architect who matches brain with humility opened up on how he came across his equally beautiful and well trained wife, Rosemary Oyenike in a popular Lagos eatery. Enjoy the exerpts. Can you tell asabeafrika your full names and how would feel right now? My name is Wale Ajibola and I can simply tell you that I am very happy for what God has done for me today. It is such a wonderful day to behold. How did you meet Oyenike? We met somewhere on Adeola Odeku (On Victoria Island) some years back, like three years back; 2011 precisely and we actually met in the eatery. We actually met at Sweet Sensation Eatery on Adeola Odeku, Victoria Island, Lagos and a lot of good things happened afterwards. What was the real attraction to Oyenike? My friend told me she looks like me and that she looks like my sister. And I guess that was it; that was the basis for the chemistry that worked for us and brought us together. Were there initial challenges you faced while courting? There were no big challenges it is just that we did mostly a long distance relationship because when we started dating I moved to Abuja and she was in Lagos and after then she went to the UK for her masters while I was still in Abuja. So, we saw each other every other month and through the power of technology. We related well through the phone and other means of communications. You come across to us as a very handsome guy with so much intelligence, how were you able to wade off every other lady for Oyenike alone? (Laughs heartily) It is simply because I have made up my mind that she was the one so there were no distractions. I studied partly in Nigeria and in the United Kingdom. My first Degree is in Architecture from Federal University of Technology, Minna , Niger state and my Master Degree is in Architecture from the University of Lincoln in the United Kingdom. How many kids should we be expecting from this union, two, four, six or what? Two--a boy and a girl. But you are rich, your wife is equally rich, so why just two? So, what do you have to say to lots of people that graced your event today from every segment of the country’s socio-economic sector? I am just grateful and humbled by their presence and I just want to thank them for taking out of their busy schedule and time to be here today. I am deeply grateful and humble. You are from which state of the federation? I am from Kwara state; Kwara South precisely. I am from Ekiti Local Governement Area. 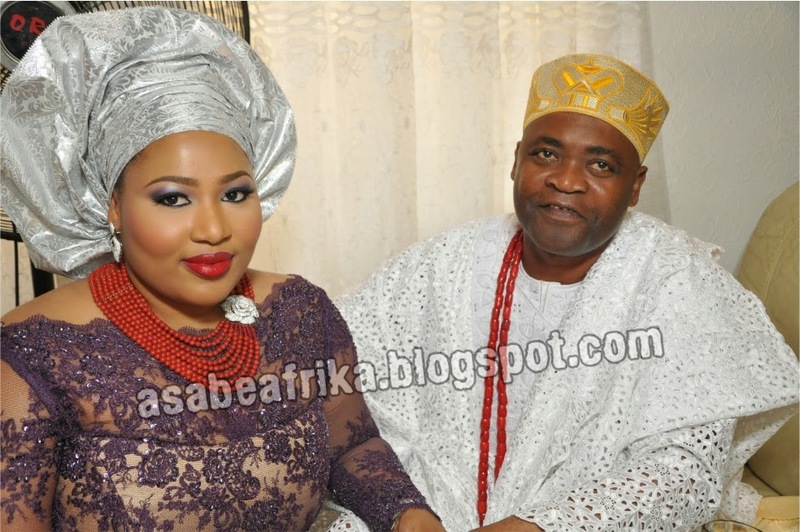 The new bride, Princess Rosemary Oyenike equally shared her love experience with asabeafrika after her family received the letter of intention of marriage from the families of Senator Simon Ajibola of Ekiti Local Government Area of Kwara state. The very pretty London trained International Business and Entrepreneurship graduate told us some little-little secrets that made her cling to her new found love, Architect Wale Ajibola. Hear her story. 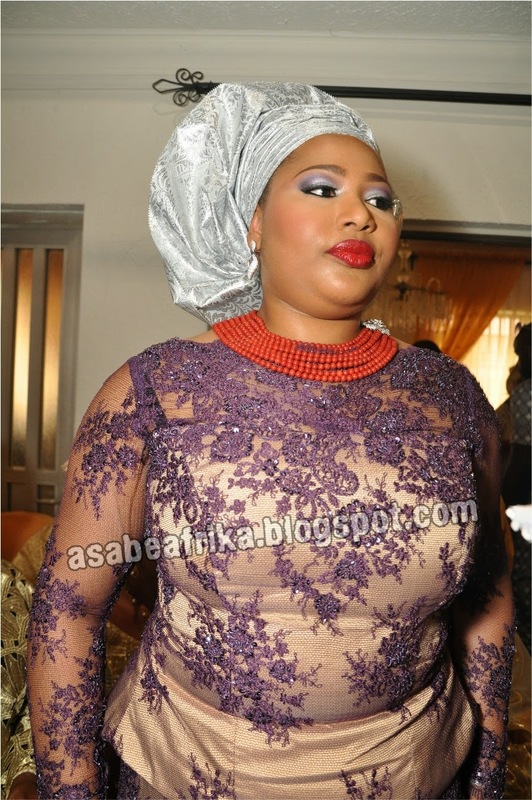 How do you feel today as the bride and the cynosure of all eyes? I feel very happy, I thank God for everything. Wale said you both met at Sweet Sensation and dated for two years before today; how would you describe the chemistry that brought you together? At first I didn’t know he was Mr. Right though, but later I got to know and we continued from there. So, what were the features that made you realize he was the real man for you? He is very loving, he is caring and he has everything a woman will love in a man. He is a man that cares for details; I mean he is very intelligent. So, how do you feel with the crowd of VIPs at your traditional introduction? Of course very happy and elated, I am very impressed with their presence here but most importantly, I am very happy with the way they all created a space for me in their diary to be here. They came for me and my husband, it is a great sacrifice. I thank them for the gesture. My full names are Rosemary Oyenike . I studied accounting as my first degree at Igbinedion University, Okada Edo state and did my Masters in International Business and Entrepreneurship at University of Glasgow, United Kingdom. You are an indigene of which state in Nigeria? How many children are you expecting from the union? How come two of you decided to choose same number for your kids? Well, that is what we want. It only means we share same philosophy on certain things of life.